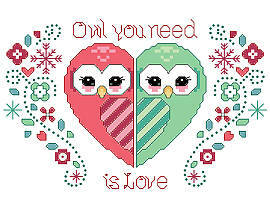 What could be cuter than two owls in love making a heart! 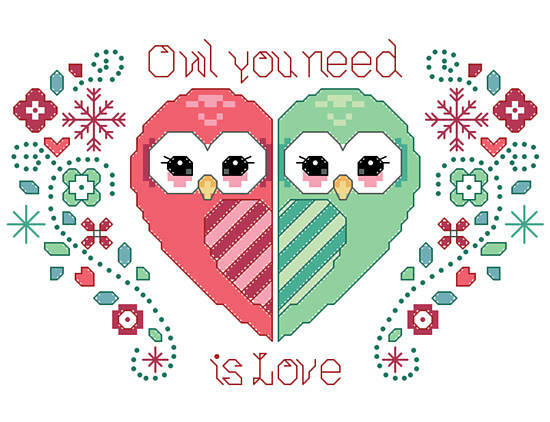 Stitch these two owls for a wedding, anniversary, or even Valentine's day. Contents: Stitch count 98w X 70h on 14 ct, finished size 7" x 5"